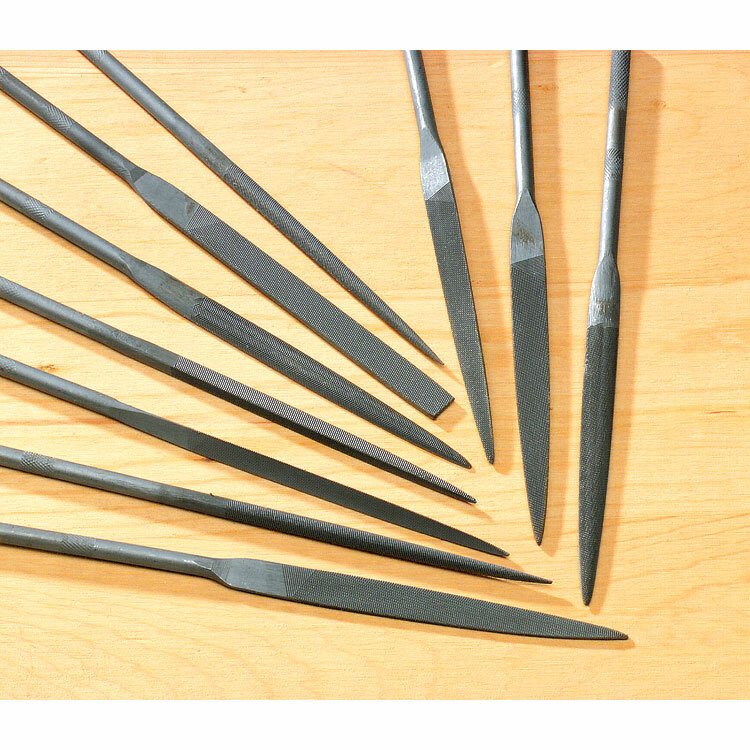 This set is about 30% larger and coarser than most other needle files, making them ideal for use on balsa, basswood and other soft materials. And, since the grooves are farther apart, they won't become clogged as fast on harder woods, brass and aluminum. Set includes: 10 different shapes...round, triangle, square, flat, oval, 1/2 round, equalling, knife, barrette and warding. Files are 7 inches long with a 3-1/2 inch cut portion and 3/16 inch dia. handles.